The following pages cover the Scagels concerning this blog, who eventually married into the Atwell family in 1830. Thanks to Nancy Benton for the pages. 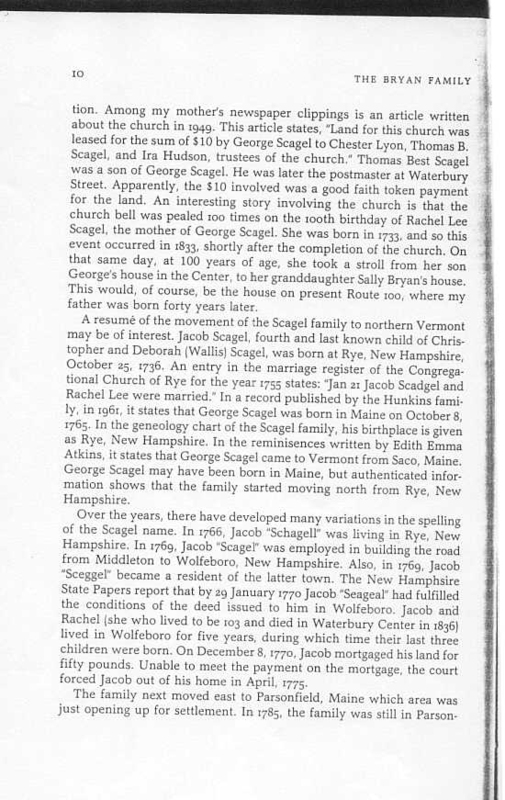 been a long time since anyone with the Scagel surname had lived in Waterbury. the George Scagel lot in the old Center cemetery. 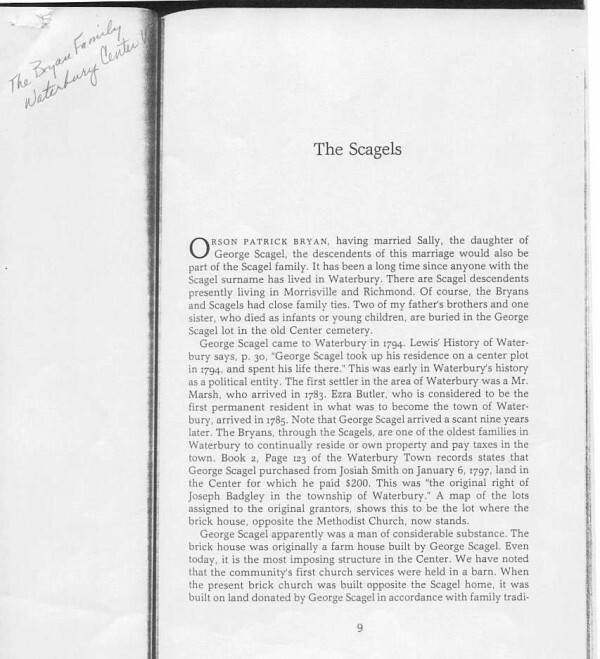 George Scagel came to Waterbury in 1794. Lewis’ History of Waterbury says p.
his life there. “This was early in Waterbury’s history as a political entity. Jacob out of his home in April, 1775.
owned a potash works. It is not known when Jacob Scagel left Parsonfield. 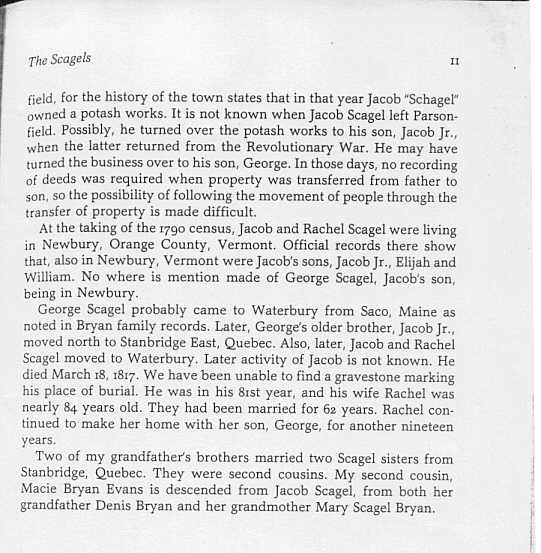 mention made of George Scagel, Jacob’s son, being in Newbury.